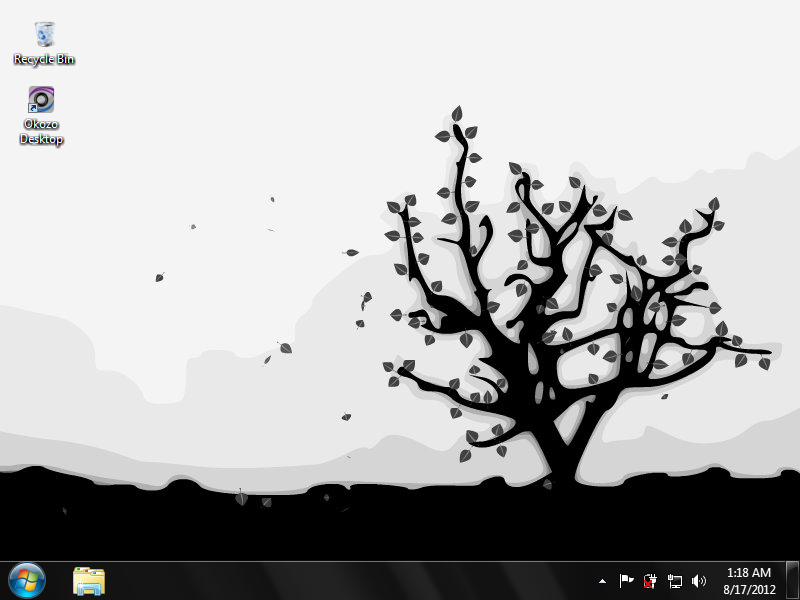 Part cute and part macabre, the starkly silhouetted tree on this animated desktop wallpaper gradually releases its leaves and lets them drift off until they fade into your background. Part cute and part macabre, the starkly silhouetted tree on this animated desktop wallpaper gradually releases its leaves and lets them drift off until they fade into your background. The dynamic contrast of the original illustration along with the smooth animation make this wallpaper a unique treat that never interferes with the operation of your machine. A low-resource, lightweight animated desktop wallpaper. Safe and signed installer.